Over the last several months we’ve received word that Game of Thrones is bringing back a lot of characters we haven’t seen for quite a while. Some of these characters were dormant and some were dead (or appeared to be), but they’ll all be returning for Season 6. And this week, we can add one more big name to the list. 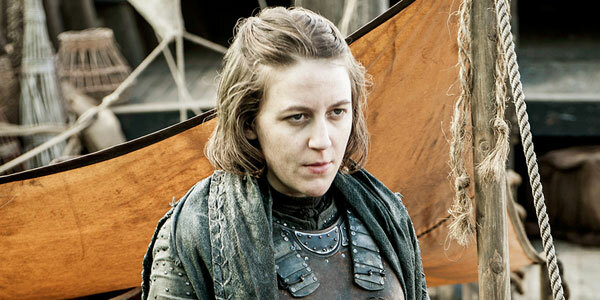 Gemma Whelan, who plays Yara Greyjoy on Game of Thrones, has been confirmed to be back on set and filming new episodes of the fantasy drama. During a recent interview, Whelan stated she is definitely returning to GOT for the upcoming season, following reports that she was seen on set. The actress hasn’t appeared on the show since Season 4. Even when I said I'm going to Northern Ireland on Wednesday to you just now, I thought 'oh god, maybe I shouldn't say that.' You really watch your back on everything - 'don't say too much'. But at least it's been leaked that I'm going to be in it, so I can talk freely about that. Game of Thrones’ fandom is so rampant that all kinds of news that is not supposed to leaks, and it doesn’t surprise us one bit that even a supporting character like Whelan would feel the need to be tight-lipped when talking to outlets like the British Comedy Guide about her role in the upcoming season. Honestly, of all of the people we’ve heard are returning, this one feels like less of a shocker. Yara, similar to The Blackfish or Bran, has always still been presumed to be around and hanging out—just offscreen—during recent episodes. Brief book spoiler. Plus, anyone who has read the books should know that Theon’s sister does come across Theon after being captured by Stannis’ men. There, she doesn’t recognize him, similar to how he didn’t recognize her near the start of the series. End brief book spoiler. Obviously the Roose and Ramsay Bolton plotline has played out a bit differently on the TV series, with Sansa marrying Ramsay and escaping from Winterfell toward the end of Season 5, but there’s plenty of room for the storyline to end up merging together in some ways, even if Sansa is involved in the HBO plotline and even though Stannis did have to face the wrath of Brienne during the finale. Along with Yara and the aforementioned returns of The Blackfish and Bran, Game of Thrones also has plans to bring back Hodor, and word on the street has it that Tyrion’s ex, Shae, The Hound, and even a younger version of Ned Stark will appear in Game of Thrones next season. Obviously, some of these appearances are likely to be through dreams/hallucinations or flashback sequences; the latter type of storytelling device was used for the first time during Season 5. If you’d like to know a little more about where Game of Thrones is heading during Season 6, you can check out what we know about the upcoming episodes. Game of Thrones will return to the schedule during the spring of 2016.